5x100 ft of 550 paracord (Nylon/Nylon). 5 Pieces. Made in USA. *Please note these packs only coun t as one cord toward free buckles and flat rate shipping. 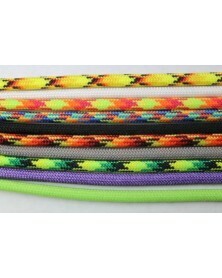 5x100 ft of 550 paracord (Nylon/Nylon or Polyester/Nylon). 5 Pieces. Made in USA.